This HD video documentary reveals how Easter Island's Moai statues were constructed by experimenting with ancient engineering methods and mysterious traditions. Modern archaeological scientists and engineers try to recreate and decipher their secrets. The statues are carved stone human figures with over-sized heads, often resting on massive rock platforms called ahus buried underground. Without modern equipment, how were they built and moved? 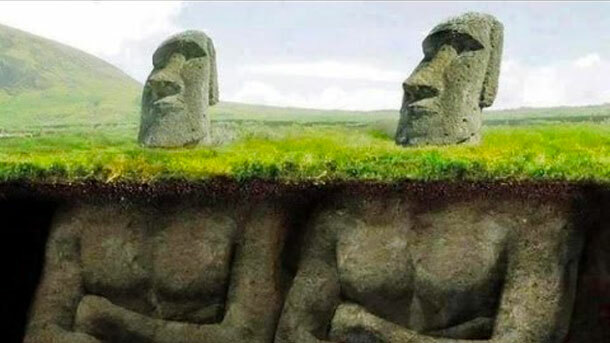 There are 1,000 statues that exist on the island, 30 feet tall, weighing a colossal 75 tons and are scattered about the barren landscape, in among the mountains and close to the ocean. This primitive culture was lead by black magic priests and chieftains who wrote the strange hieroglyphic language known as "rongorongo". Tags: documentary, tv show, travel.